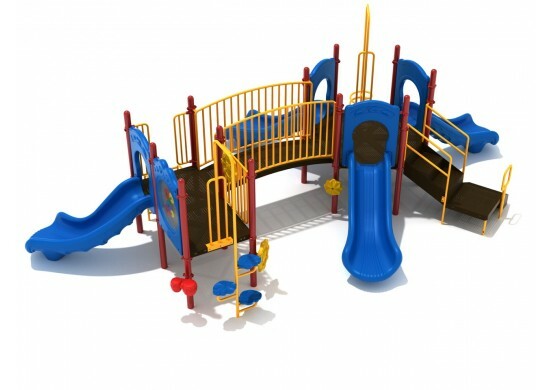 There’s no way to hide it, the Eugene play structure is just plain fun for all children. 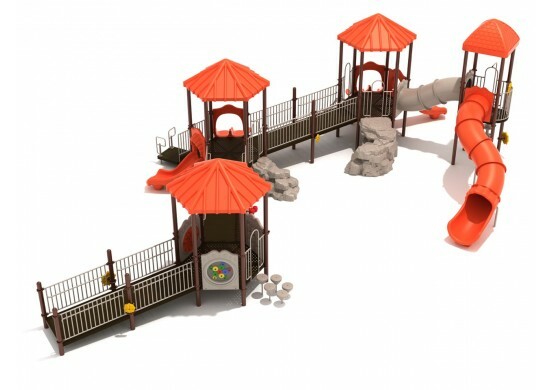 Two square elevated platforms are accessible by a vertical ladder or a leaf climber, a right turn slide is also attached to one of these two square elevated platforms, and a metal barrier with a rain wheel and a gear protect children from falling off, and also provides fun. An arch bridge connects the square elevated platforms to a hexagonal elevated platform. The hexagonal elevated platform is accessible by a spiral climber or by stairs. 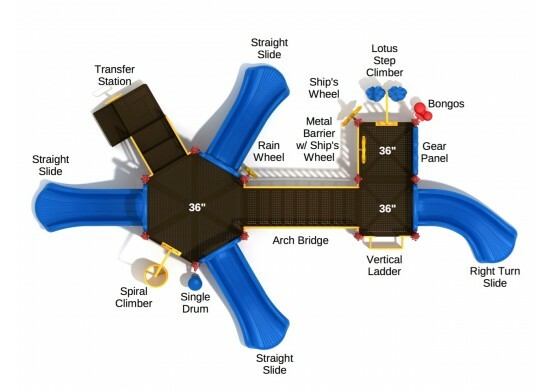 Three straight slides jut out in all directions from the hexagonal elevated platform. 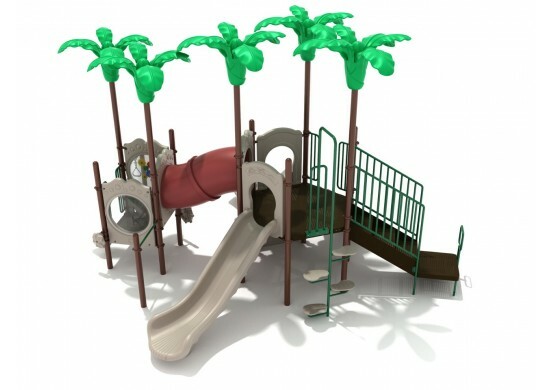 A single drum, a rain wheel, a ship’s wheel, and bongos found around the play structure provide ground level play and make the Eugene play structure ADA compliant. 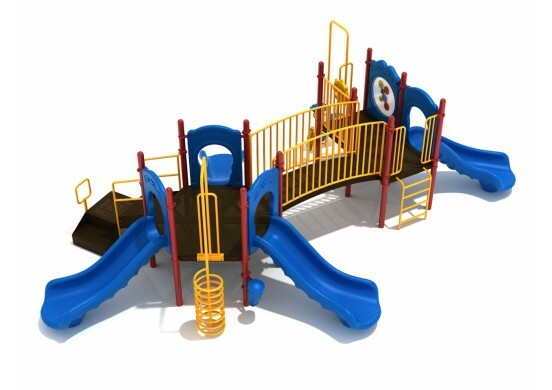 This play structure is designed for children who are between the ages of 2 and 12 years of age.